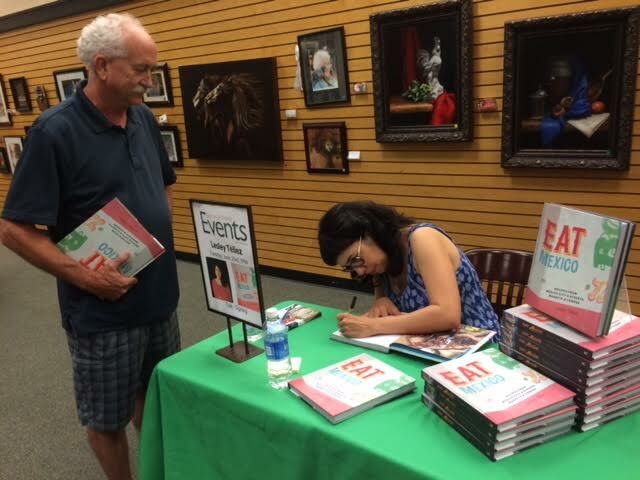 Wednesday’s column is about Lesley Tellez, a Rancho Cucamonga-born author and journalist who just published “Eat Mexico,” a cookbook about the food of Mexico City. She was in town on a book tour. Above, Dan Hutton gets two copies signed at Barnes and Noble for his daughters, who went to school with Tellez.